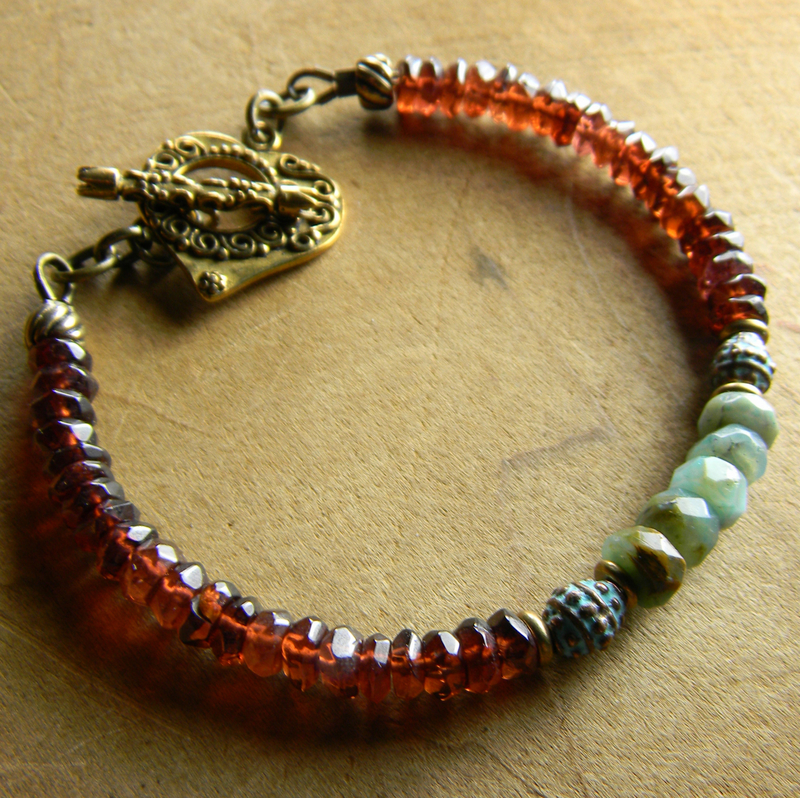 Stylish and feminine, this garnet and opal bracelet is perfect for that special woman or even as a gift to yourself! 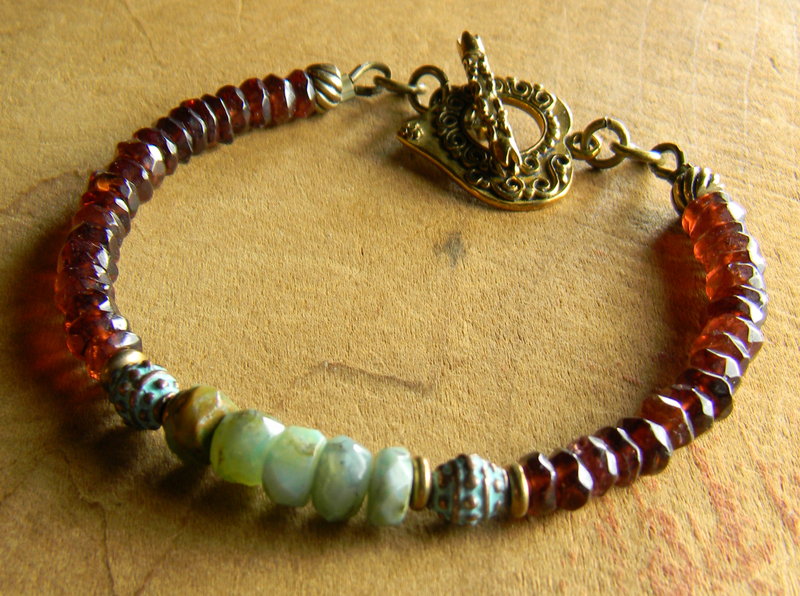 Rich wine colored garnets are so rich in color and complement beautifully with the pale green faceted opals from Peru. Mykonos verdigris barrels and bronze spacers serve as accents, and the toggle clasp is an artisan heart shape of solid bronze. 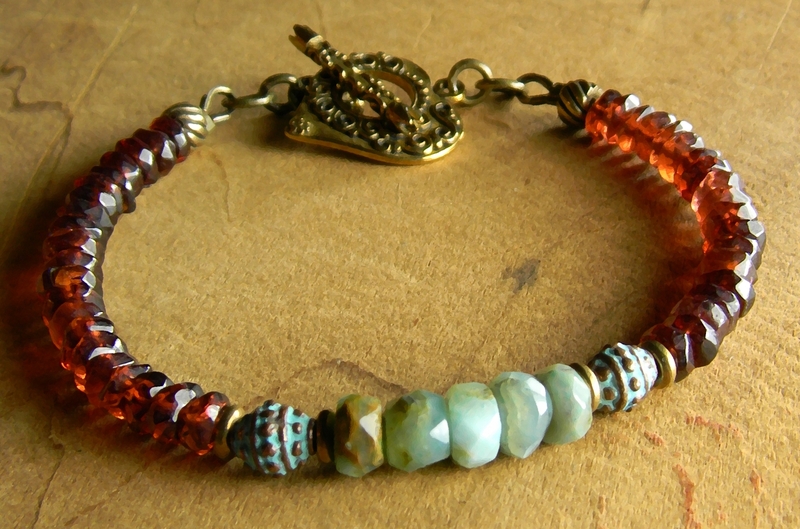 This design fits best on a small wrist (5.5 to 6 inch actual wrist measurement). Shipping cost is $3.00 for the first item, .50 for each additional item in the US.